I feel that it is my responsibility as a dancer, teacher, and studio owner to always educate myself and develop in order to provide the best dance training at In Step. Over the summer, I trained at the Laban Conservatoire of Music and Dance for my third time since finishing full time dance training. I am very fortunate to have learned from outstanding professionals in the industry who have all influenced and inspired me. Learning first hand from these professionals really contributes to the development of our dance school and this is something I am very passionate about. I trained in ballet, contemporary, jazz, and street dance styles each day with phenomenal dance artists. Below are just some of the dance artists who I had the pleasure of learning from this summer. Elly trained at Trinity Laban Conservatoire of Music and Dance, graduating in 2011. She then joined Richard Alston Dance Company as an Apprentice and has danced for the Company ever since, completing her MA in Contemporary Dance 2015. During her time in the company, Elly has danced many roles, touring to dance festivals around the world, including Context: Diana Vishneva Festival (Moscow) and Schritt_macher Dance Festival (Aachen and Heerlen) and Fall for Dance (New York). In addition to Richard Alston and Martin Lawrance, Elly has performed in works by Martha Graham, Gary Lambert, Kerry Nicholls, Merce Cunningham (Dancing Around Duchamp staged by Jeannie Steele) and Joseph Tonga (Unease). Alongside performing, Elly is regularly involved in teaching workshops and technique classes. Gavin trained at London Studio Centre, touring the UK with the Jazz Dance Company in his final year. His theatre credits include Addams Family The Musical, 42nd Street, Paris, Pablo Bronstein: Historical Dances in an Antique Setting at The Tate Britain, Hairspray, We Will Rock You, Cats, ‘One Man’s Dream II’ - Tokyo Disneyland, ‘Nixon in China’, ‘The Mikado’ and Carmen for English National Opera. Theatre Rites’ ‘Mischief’, and Shall We Dance at Sadler’s Wells. Liora Goldwater is a professional dance artist working in the disciplines of Contemporary Dance and Ballet. She trained at Northern Ballet School and then at the London Contemporary Dance School gaining a BA (Hons) in Contemporary Dance. During her training, Liora performed with the Birmingham Royal Ballet and the Manchester City Ballet. She also performed pieces by Kerry Nicholls, Richard Alston, Jan de Schynkel, and Stephen Petronio. American-born choreographer Melody Squire is known for creating visually stimulating work as well as her innate storytelling ability. Her versatility across dance genres makes her a choreographer in high demand, working extensively in film, television and theatre. As a performer, Melody has worked with numerous artists including Madonna, James Blunt and pop promo for Beyoncé. Notable choreography credits include: Selfridges, the Corrs, SYTYCD UK and Tiger Bay the Musical. Melody is the founder and artistic director of Sol Dans Company, an award winning contemporary dance company. 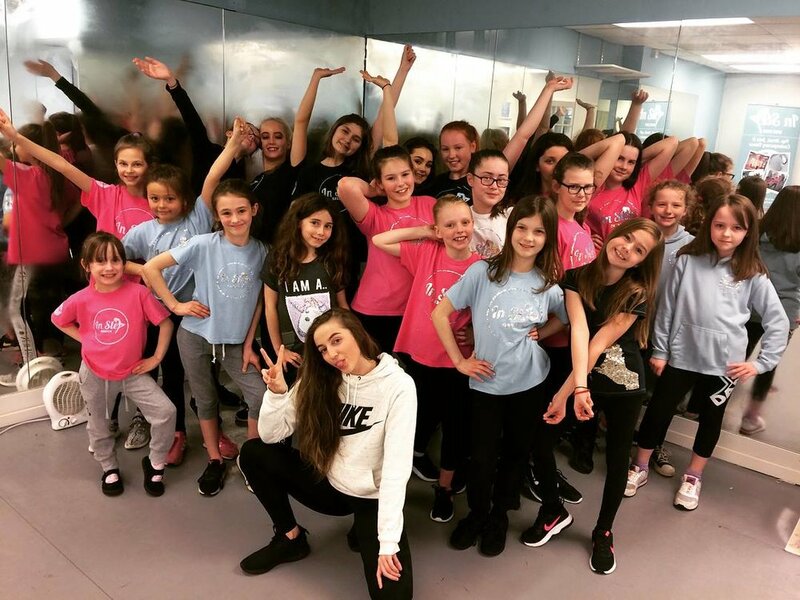 Melody is passionate about dance education and teaches regular classes at Pineapple Dance Studios and Italia Conti, as well as master classes worldwide. Amy studied at London Metropolitan University, graduating with a first class honours in Performing Arts. She then went on to complete a Higher Certificate at The Place in 2007. Presently, she is studying for an MA in Developing Artistic Practice at London Contemporary Dance School. Amy joined Stopgap Dance Company in January 2013, touring internationally. Since 2014, Amy has been developing an inclusive yoga practice with the company. Amy is also rehearsal director for Akram Khan Company, specifically for the piece Chotto Desh and is an inclusive arts practitioner for Joss Arnott Dance Company. She has performed for Akram Khan Company for the 2012 Olympics, Enrique Cabrera (Aracladanza), Helene Blackburn (Cas Public), State of Emergency, Highly Sprung, Ascendance Rep., Jonathan Poole, Motionmanual and Balbir Singh. Earlier this year she acted as a choreographic consultant for Highly Sprung during their creation Tree. Her choreographic work includes 'Slide with the Sun’ performed and toured by SG2, 'Outside Spaces, Inside Places' for Ascendance Rep., two short works for Three Scores and most recently 'Composition in Time' for Ramallah festival in Palestine. In 2011, Amy was awarded the Lisa Ullmann Travel Scholarship fund enabling her to complete an Integral Yoga qualification at the IYI India. Amy's teaching experience has seen her work for Greenwich Dance Agency, Northern Contemporary Dance School, Phoenix Dance Theatre, Yorkshire Dance, RAD, Trinity Laban and many international companies. Christophe Jeannot is a former principal dancer with Martha Graham Dance Company, with which he performed in the USA and abroad from 1998 to 2005. He received his dance training at the Conservatory of Nantes in France and the Centre National de Danse Contemporaine in Angers. He then went to New York to study at The Martha Graham School. While in New York, he also performed with the Pearl Lang Dance Theatre and the Carolyn Dorfman Dance Company, among others. After returning to Europe, he performed in the musical The Lion King in Paris, and worked with companies such as Compagnie Kossiwa in Nantes and Compagnie Thor in Brussels. Local videographer and musician, Ruari Barber-Fleming got in contact with us to see if we could bring to life a piece of music from his latest album. I met with him in April to see what his vision was for the video and selfishly, much to my delight, he wanted no artistic direction in the process and put full trust in me to create something worthy of his music. I got to work on the project right away and spent some time in the studio with one of our senior dancers, Erina to produce some movement to this stunning piece of music. This has been a personal favourite of mine to work on and the same can be said for Erina. The choreography came very naturally to me and it is lovely to dance, watch, and listen to. Erina did a great job of executing the movement as shown in the end result. Ruari shot the video at the CatStrand in New Galloway and what an amazing facility it is! We look forward to working on similar projects in the future. At In Step, we love to get involved within the community and provide some great quality performances at local events. Our Selects have been performing over the last couple of months and they have really improved their performance skills in the process. This is great practice for our Selects. Especially for some of our younger Select Jrs who haven’t yet had much experience in front of an audience. 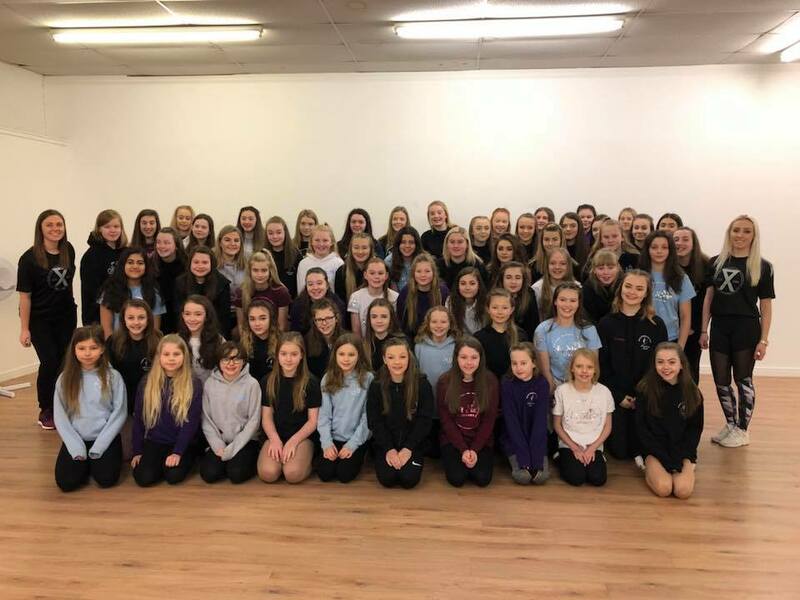 Our dancers have worked extremely hard this term to be apart of so many local events and they have proved to be very dedicated to our strict rehearsal policy. Our dancers know that they must work as a team to be able to pull off so many successful performances, week in, week out. If a Select isn’t at rehearsal the week of performance- they are simply unable to perform at the up and coming event. This allows us to upkeep a high standard of performance where everyone is clear on their position and choreography in their routine. We look forward to getting back in the studio after Summer to work on some fresh performance pieces which will be displayed over winter. Keep up the good work, Selects! This year we took with us 60 In Step dancers aged 3 to 18 to take part in the parade on Guid Nychburris Day. We spent a week in classes learning our moving dance routine to ‘Rhythm of the Night’ and we had a lot of fun doing it! We won 2nd place for our category in the parade so we had lots of happy dancers. We were super proud of everyone on the day who kept up their dance on repeat the entire way round the town for the thousands who came out to watch. Even our three-year-olds were still performing right to the end. Absolutely fantastic! This year, we had over 40 applicants auditioning for a place as a Select for 2017/18. Nicola and I had some very tough decisions to make and we were absolutely blown away with the talent, hard work, and performances that shown through from each dancer. We now have 18 Select Jrs and 7 Select Seniors. We were very clear on the fact that previous Selects would be treated the exact same as everyone else in the audition and every applicant was given a fair chance. This happens time and time again in the dance industry and it is a great lesson to learn, early. There are no free passes! We are very confident in the decision we have come to and are so excited to work with our new Selects for the next year and develop them further. Right away, I hired dancer Emma to come down and teach a Select master class in the Easter holidays to learn a performance piece in just 5 hours! Our dancers took cthe experience with both hands and worked their socks off! This confirmed to me that we really do have a fantastic, professional, hard working group of Selects and I have every confidence that we will do great things this year. We had the most amazing celebrations at Locharbriggs Social Club at the weekend with a turn out of over 120 of our lovely dancers and family members. It really was a fabulous night! We had our brand new Selects perform an entire new piece that they only had 1 week to learn and they absolutely smashed it! We had a brilliant raffle filled with great prizes and lots of winners! Our buffet was fab and the drinks were flowing! Our dancers were never off the dance floor unless they were posing at our photobooth for our photographer, or sat colouring in for their Steppy competition. What an amazing effort from our dancers who went in for the Big Birthday Bake Off! All of the cakes were amazing but nothing beats our HUGE famous In Step birthday Cake made by one of our dance mums! Looked and tasted absolutely AMAZING! Another year of all things In Step and we have achieved so much and created so many wonderful memories and opened our family to so many new dancers. We couldn't have done it without all the support from our dancers and their families. It's the people who make it so special and such a wonderful place to work. We look forward to yet another successful year at In Step! We took 60 dancers down to London this March to perform at the Olympic Stadium! We were delighted to be invited by Pro-Excel to perform with Britains Got Talent winner, Tokyo Myres, in front of 60,000 fans and at one of the most iconic stadiums in the world, The Olympic Stadium in London. In 2012, London hosted what was one of the most successful Olympic Games in Olympic history creating what many deem to be one of the most spectacular Opening Ceremony shows of all time. Our dancers were able to perform in that very place which will always be a very special memory for everyone involved. In Step dancers were selected to work for Pro-Excel who put on the most spectacular mass-dance movement at this iconic stadium. In February, Pro-Excel sent 2 dance teachers up from England to teach our dancers the choreography over 4 intensive days of dance training. 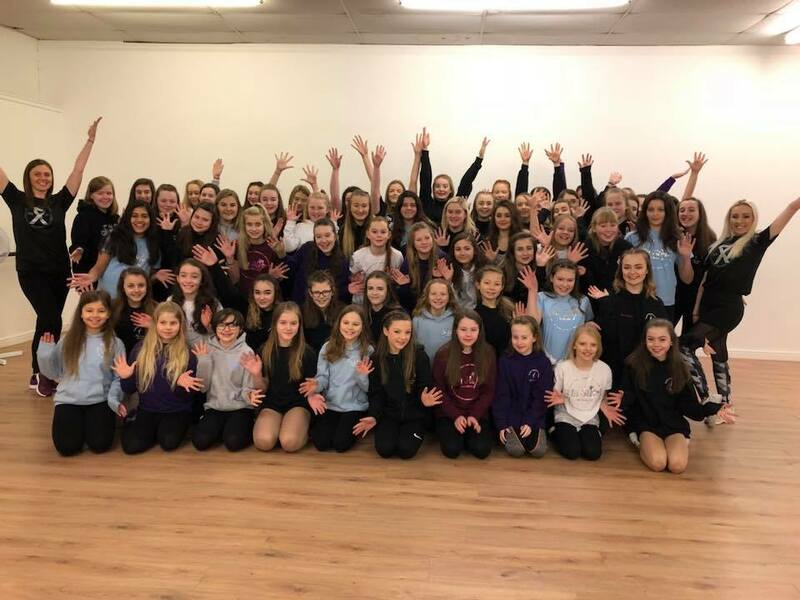 We took with us not only 30 of our own In Step dancers, but we also invited another local Dumfries dance school called Danceworks Studios to give even more local young people the opportunity to perform at such a massive event making our Dumfries team 60 strong. Front and centre, our dancers did us very proud as they gave a fantastic performance at the stadium. We could not have done any of this if it wasn't for the generosity of these sponsors! Our first In Step dancer to audition for a place on a professional dance course! Erina Foley, our current Select number 1 has been thinking about going to train professionally for a while now. In need of a bit of reassurance, Erina asked my advice in February when we were in rehearsals for our London performance with Pro-Exel. These 4 days of intensive rehearsals gave Erina an idea of what it is like to train all day and gave Erina the inspiration and realisation that this is something she doesn't want to put off any longer and it might not be something in the distant future, but something she could go for now! I couldn't have encouraged her more as I knew she was ready. When Erina came in to tell me she had contacted Dance Studio Scotland and got herself an audition, I couldn't have been more excited. I had a really great feeling about this and I wanted to be there with her to experience her first time at the campus - my old stomping ground. So audition day arrived and off we went to Glasgow. Arriving early enough to grab some lunch and have a look around, I was absolutely loving Erina's reaction to being at the college that I trained at myself. She noted what a lovely feel there is at Anniesland campus and how gorgeous it is. Seeing my old lecturers was overwhelming and a very proud moment as I was now there with a dancer that I trained to come through their doors. As my jazz teacher told me - full circle! Now that I had done everything I could do, filled Erina with every possible word of advice, she was ready and it was down to her to do an amazing audition. 3 and a half painful hours of clockwatching later, my former head lecturer spotted me, asked me which one was mine and was able to tell me that Erina had gotten a place on year 2 of the Dance Artist course!! What an absolute credit she was to me. I could not have been more proud and couldn't wait to see her come out of the studio to give her a massive cuddle! Although sad to be losing her this year, I know she is going to gain the best dance training in Scotland which will put her in great stead for any dance career she could wish for. Well done, Erina. Super proud! Seminar with heads of faculties from various prestegious dance universities: Audition Tips. This was a great oppertunity to hear first hand what these big dance colleges and universities look for when they audition the next generation of hopeful professional dancers. This was invaluable, reaffirming information that supports everything I know about this process. This seminar was filled with a great wealth of knowledge and advice to equip our In Steppes with should they wish to further their dance training, professionally. This March, I took Nicola down to London with me for Move It 2018! We were able to speak with so many different dance related companies and suppliers, gaining lots of inspiration and new contacts for In Step. We are very excited to impliment so many new ideas to the studio and we have so many good things to come. Watch this space!! Choreographing for T.V and Competitions. We were able to learn from 2 very knowledgable dancers in the industry and talk with them not only about the difference and similarities about choreographing for T.V and choreographing for stage but about their personal dance journeys, struggles and lessons. Both came with such interesting stories and it was increadible to be able to hear from them first hand about how it can be working within professional freelancing jobs such as X-Factor and getting their advice for working in such jobs within our industry. We are delighted to have had Nicola join our teaching team this year at In Step. Team teaching with studio owner, Christine, Nicola has made a great impact on the school already by developing technique in classes and demonstrating a wealth of dance knowledge to pass on to our dancers. Nicola has already made a great connection with our students and looks forward to meeting all of our dance families in person and welcoming lots of lovely dance students, too! "I have always loved to dance from a very young age whether it be in class, on stage, around the house or at a party. I started classes here in Dumfries at the age of three in styles of Jazz, Tap and Ballet. I continued to do so throughout the duration of my school years until I left to study dance in Edinburgh at Telford College gaining my HND in Dance Artistry. Whilst training professionally, I was taught invaluable skills and technique by outstanding lecturers in styles of Ballet, Jazz, Contemporary, Commercial and Choreographic Skills as well as the theoretical elements of dance training. I have performed at the likes of 'The Kings Theatre' and the 'Museum of Scotland' as well as various other locations for dance shows. After graduating from Telford in '09, I taught dance on a freelance basis before taking time out to start a family. I am very eager to get back into dance now that my two children are that little bit older, allowing me to begin my new chapter here at In Step. I am looking forward to working with so many local young people and am greatful to have the oppertunity to impact positively on young dancers lives." I believe that the most important thing for dance teachers to do is to continue to learn and be inspired by high flyers in the industry. This is why I take the time to make the trip down to London whenever I can to ensure that what we are teaching at In Step is current and up to an incredibly high standard. Taking on the knowledge of such incredible dancers is what filters through to the dancers at our studio and I am proud to say that we really do learn from the best. John trained in Dublin, New York, Los Angeles and London and has worked with artists including Beyonce, Rihanna, Janet Jackson, Justin Bieber, Jessie J, Mariah Carey, Elton John, and many others. She trained in ballet, tap and jazz in her native country New Zealand where she worked with the NZ ballet and later became a dancer for the All Blacks. After moving to the UK she toured with various dance companies in Asia and Europe developing show experience working in theatres and arenas. Whilst based in London she furthered her career dancing in music videos, corporate events, cabaret shows and worked on television. An experienced stage performer, his theatre credits include ZooNations 'Groove On Down The Road, 'I Can't Sing - the 'X-Factor Musical', 'The Five And The Prophecy Of Prana', 'Blaze Streetdance Sensation', 'Some Like It Hip Hop', and many more. His commercial dance credits include Justin Bieber, LMFAO, Cher Lloyd, JLS, Cheryl Cole, Katie Perry, Professor Green, and more. She then danced in various dance companies and Pop Videos before her 10 years of teaching fitness all over London. She is now a very well respected Jazz teacher at Pineapple. Their style is a mixture of inspirations, inspired by hip hop/jazz funk movement and other style fusions. Hazel and Jason teach workshops and classes in the UK and Europe, including Ireland, Manchester, Amsterdam, Spain, Italy, and Germany. They have also taught in Canada, Romania, and Minsk. I just love it when there is an oppertunity to make special moments for our dancers! I found out that one of our Select Jr's was in London, too so I had to make sure we came up with something to make her day! This little dancer of mine was SPEECHLESS when I surprised her at the Pineapple shop this week. I am so glad we could make it happen! We are very excited to introduce Irene, the newest addition to our team! Our dancers really are in great hands and we can not wait to watch our dancers flulish and grow under her instruction and influence. We predict to see big things for our studio in the next coming months. How exciting!? "I have always been extremely passionate about the Arts. I began dancing at 10 years old and sustained my passion for Street dance throughout my education. I then chose to take this further by completing a first class BA(Hons) in 'Dance and Musical Theatre Performance' course at University of Cumbria. Whilst there, I studied Jazz and Contemporary dance by working with some of the leading practitioners in the dance industry. 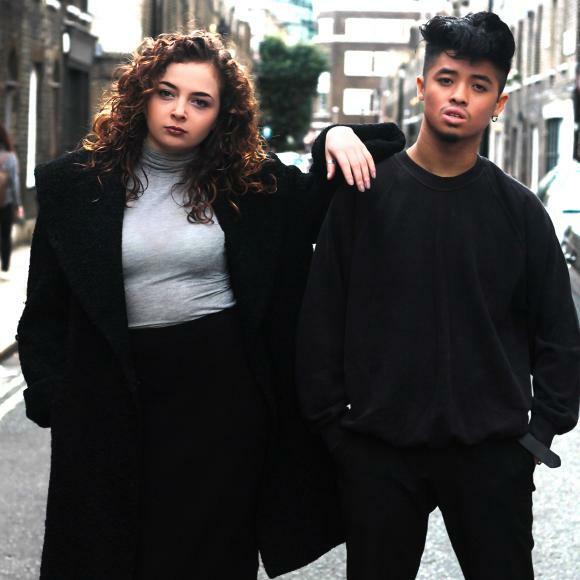 This included Ray Roa (Ballet Lorént), Vinicius Salles (Jasmin Vardimon and PunchDrunk) and Ian Good (Hairspray UK Tour). After completing my course I then went on to do a teacher training postgraduate degree in the hopes that I could find a home like In Step. Thankfully, everything has fallen into place and now I am excited to commit myself fully to the In Step family. It is an honour and a privilege to join the In Step team, and bring all that I have learned to this group of passionate young dancers." As time goes on, the inevitable happens. Our dancers get older and fly the nest. This Summer we say goodbye to Phillippa and Zoe who have served our dance school well, both as Selects and great role models for our school. Philippa has supported and danced with In Step since the day it opened. Her favorite style of dance is Contemporary and she definitely shows it! She has been a dream to teach as she interprets choreography beautifully in all styles of dance, not just contemporary. Philippa has really grown in confidence over her time at In Step which has, I believe, came with age as well as performance opportunities with us. Dancing has been a huge part of Philippa's childhood and we are so happy to have touched on that and been a part of creating many good memories for her. Philippa has been pushed to her limits at In Step which has allowed her to improve in both her skills and knowledge of dance. She has enjoyed the challenge of learning something new each week which keeps her motivated and she has been a great help to the younger members in the class. Phillippa has been such a positive influence on the rest of her class members and she brings her outgoing character to every class and strives to help the younger members and nurture their confidence. Philippa is now 18 and has a busy, full, adult life now with a great job and a great network of people around her. We wish her all the best for the future and hope that she still comes to visit when ever she can. Zoe is everyone's ‘go to’ person for all things In Step from choreography to rehearsal dates. Even for me, the teacher! Zoe has a love for dance although Street is by far her favorite, especially funk, house and commercial styles. Zoe has taken on everything she has been taught and as a result, an amazing In Step Dancer has been produced! Zoe has become the glue to the friendships at In Step and everybody knows Zoe! As well as being a Select at In Step, Zoe has also been an assistant dance teacher at the studio. I am big on creating close bonds between teachers and dancers and Zoe has taken on her role and then some! She really has become a 'mini me' and it has been lovely (and quite funny) to watch her teach exactly how I do! Zoe was awarded 'In Step Student of the Year' at our dance show in December of last year for being an allrounder delight! She really has been my right-hand woman and I am so thankful for her dedication and commitment to our school. She has been a real asset to our school and to herself and will be missed by everyone at In Step. We wish her all the luck in the world for her next step of her journey as she goes on to study primary education at university in Edinburgh and I know she will make an increadible, inspiring teacher that any parent would be lucky to have for their child. Over the weekend we were lucky enough to have guest dancer Jamie Potter at our studio to give our dancers some great workshops. We had Junior and Senior workshops running on Saturday and our dancers had a lot of fun learning some great routines. Jamie will soon be moving to London to continue his dance training at Urdang Academy and we wish him all the best from In Step. We recently celebrated one year of In Step by throwing an amazing birthday party! We had a DJ, a buffet, a fabulous raffle, performances from our Selects and of course.. An In Step birthday cake made by one of our mums, Lesley! What a great celebration. We would like to thank everyone who has been apart of our first year and we hope everyone who came to our Big Birthday Event had a fantastic celebration! On the lead up to our Big Birthday Event, we designed Limited Edition 'In Step Originals' t-shirts and jumpers which are so special! Our dancers who have been with us in the last year are indeed the original members of In Step so it was lovely for us to give them something to recognise that. We have also been busy designing our Yearbook which has been selling like hot cakes! This book takes you through the journey from day one until now and is filled with special memories and photographs. We really have come far in just 12 short months and we look forward to producing a yearbook for each and every year to come.